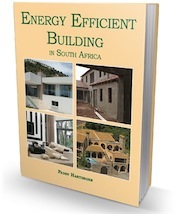 These definitions are mainly, but not exclusively, extracted from the Greater Metropolitan Area of Cape Town’s By-Laws Planning and Zoning definitions and explanations. They do and can relate to terms and phrases used nationally by other Municipalities and planning departments. We will be adding to them on an ongoing basis. (d) a foreign government, such as an embassy or consulate, but does not include a dwelling house where the dominant use is for living accommodation of foreign diplomatic personnel. ‘environmental site- or activity management plan’ A plan that documents the management of site preparation, construction and/or operations affecting an environmental resource or an environmentally significant place, its environmental values and management requirements, or both. ‘equipment room’ Is a building or a part thereof to accommodate communication equipment associated with telecommunication infrastructure. This can be a separate building used exclusively for the equipment, or it can be a container or a room within a building. ‘risk management and prevention plan’ A plan, programme or strategy, developed in accordance with guidelines approved by Council, to prevent or minimise danger to the environment or humans from a particular activity or series of activities, and to deal with the consequences should any dangerous event occur. ‘zoning map’ has the same meaning as assigned to it in planning law.